Appearance: A very pale yellow with good effervescence and tiny bubbles. Nose: Uncomplicated, pure aromas of green apple and pear with just a touch of lemon. 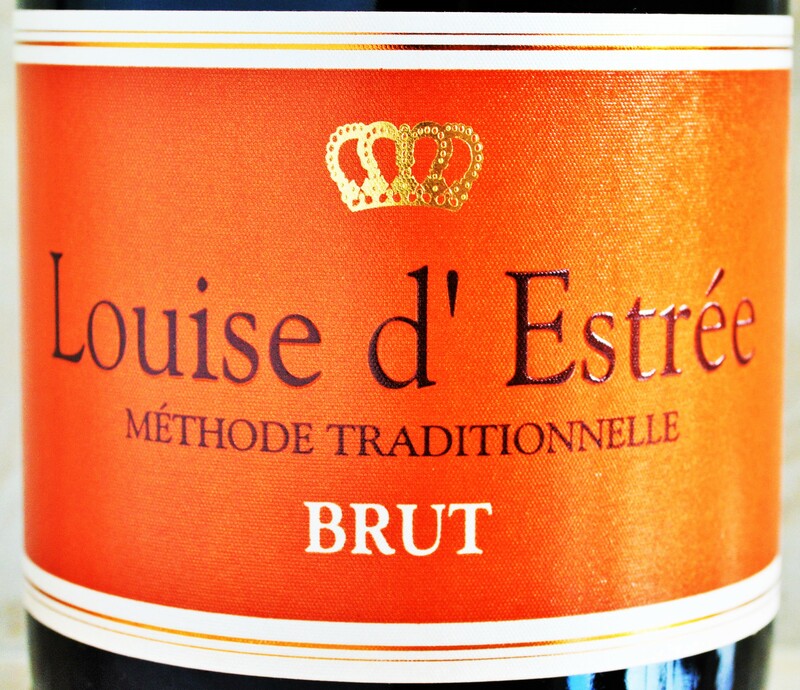 On the palate: The Louise d’ Estree Brut is defined by sweet orchard fruit and notes of lemon rind on the mid-palate. It finishes dry with some alcohol coming through on the somewhat unbalanced, short finish. It’s a simple, quaffable sparkler with no discernible secondary flavors. Should you buy? 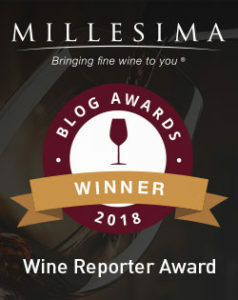 ~Maybe~ The Louise d’ Estree Brut is an uncomplicated, easy to drink sparkler with an enjoyable mid-palate but the unbalanced finish leaves a little something to be desired. Consider it along with other options in the Trader Joe’s Wine Section. 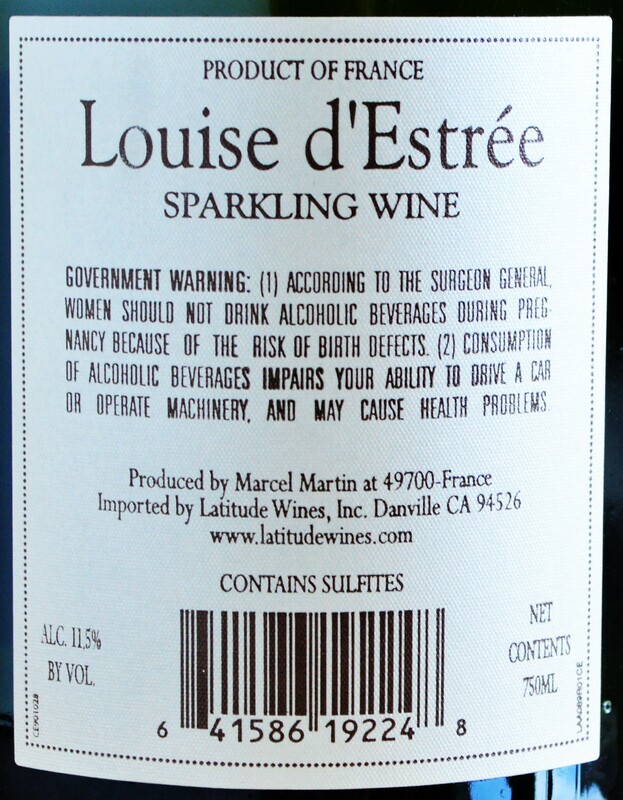 While the Louise d’ Estree boasts both tiny bubbles and a tiny price, I don’t think it’s as good as the regal-looking label might suggest. If you need a no-nonsense sparkler with fancy, French label under $10, then this is definitely a pretty good option. It would make a great base for Mimosa’s or Bellini’s, too. Having said that, I would rather spend even less and get the La Granja 360 Cava as it is a slightly better made, more interesting sparkler. The L.E. brut is an excellent bubbly. Of course it’s not champagne — the grapes don’t come from there, so it’s method champaignoise. And neither is the excellent American, Chandon, a champagne, but that’s how everyone thinks of it. This is a brut without the extreme dryness and sharp acidity found in the “best” champagnes. In my book, if you don’t have something to eat with those dry ones, it’s murder. So Louise is a very good deal for eight bucks. It’s a pretty decent sparkler for the modest price tag. I’m personally a big fan of the dryer, higher acid wines that you often see out of Champagne. With some bottle age they will integrate and mellow a bit and agree that they can be harsh for some when not enjoyed with food.